When considering the purchase of a new home, most people think about the amenities they need in a new home: five bedrooms, three baths, a large lot, or perhaps a short commute. What many people fail to consider are their hobbies. A home is more than a house; a home is a place to rejuvenate after a long day of work. Here at Realty Advantage we encourage our buyers to consider how they enjoy spending their leisure time when purchasing a new home. Do you love small theater productions? Choose property near Lakewood Theatre in Lake Oswego. Do you swim? Select a home near a fitness center or in a neighborhood like Murrayhill that includes a pool as part of their Home Owner's Association (HOA). Do you walk or hike? Consider a home situated by a trailhead. Do you sail? Select a condo down by the Portland Waterfront. Do you bike? 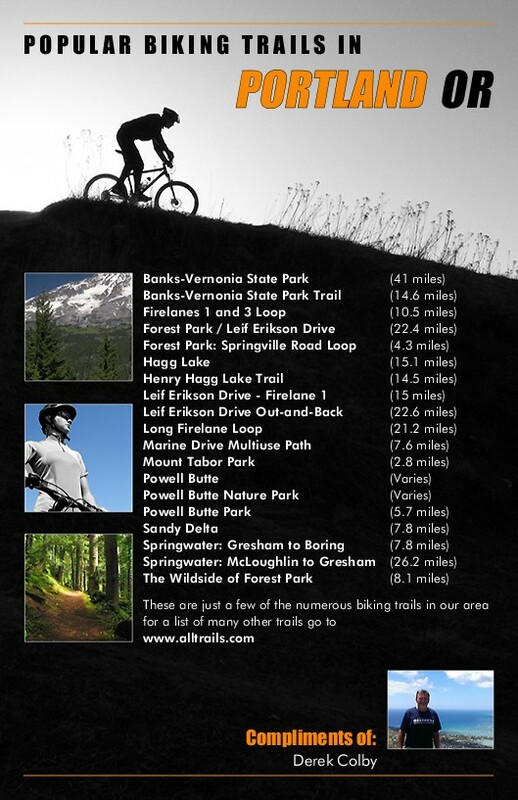 Purchase a home by one of the amazing bike trails located in and around Portland. Enjoying your new home is directly proportional to what revitalizes you after a stressful day. Let us help you find that special place.